Welcome to a new age of skin care. Blazing a path in the industry, Lira Clinical has adopted an innovative strategy of skin care development focusing on attaining scientifically proven results as opposed to fancy packaging and large marketing budgets, which has unfortunately become the industry standard. The attitude taken by Lira since the beginning has been making a product that actually works first and letting everything else fall into place along the way. And, In keeping with their tradition of staying on the cutting edge, Lira has just introduced the all new Lira Clinical Mobile App! From the sleek and user-friendly home screen you can immediately tell that this app has a ton of features that will turns your phone into a personalized skin care consultant. Starting with the “Messages” tab, you will find a ton of great information meant to both entertain and inform. This tab acts as a direct feed from Lira Clinical that provides constant insight into the beauty world as well as frequent updates and reminders in regards to the many web seminars (webinars) that Lira Clinical holds in order to spread their expert knowledge of the cosmetics industry. 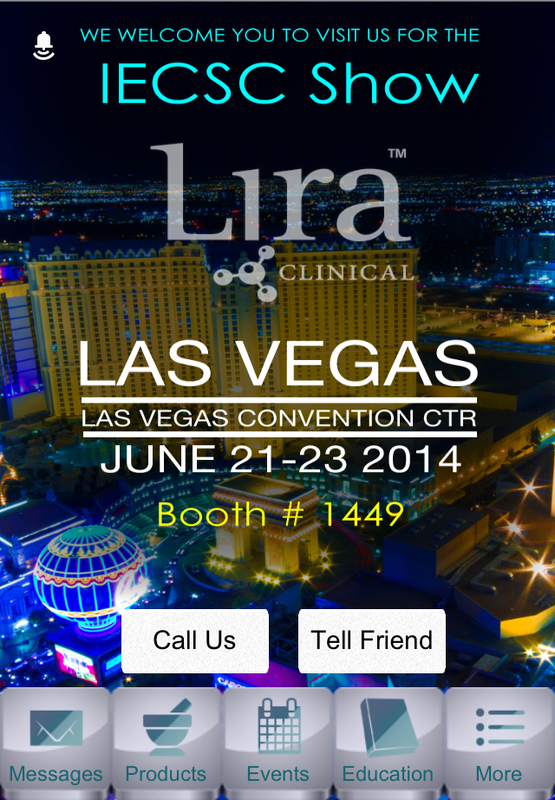 Next is the “Products” tab which gives a detailed list of all of Lira Clinical’s vast lines of skin health products. This tab is extremely helpful when you are trying to decide which product or combination of products will work best for your unique skin care criteria since you can tap any of the product names to reveal an overview of what the product is and the amazing effects that it will have. The next tab on the row is the “Events” tab. This section of the app will give you the list of all of the events and expos at which Lira Clinical will be featured. Not only will this let you know when Lira may be coming to your town, you are also given the option to add the event to your calendar directly from the app so you won’t forget! Now we will move over to the “Education” tab. This tab is where all of the information about Lira Clinical’s webinars is held. This includes an overview of what the class will cover, how to join the class, as well as the multiple dates on which the webinars will be held. With all of these amazing features, you would be remiss not to download this amazing (and free!) app in the iTunes app store right now!